These ASICS knee pads are intended for knee protection in sports such as wrestling to avoid different knee injuries, for example, bruises and abrasions which usually are caused by blows, attrition and other outer impacts. Considering the fact, that wrestling is quite severe and aggressive sport, usage of knee pads is not only recommended, but also necessary. Of course, they can be used in other contact sports, where knee protection is needed, too, because defenseless knees are at risk of various impacts and thus serious injuries. These ASICS wrestling knee pads have many features and one of them is reversibility – they come in black / white and red / royal colors, therefore, you can change their color from black to white or from red to royal whenever it is needed. Considering that they are made of neoprene material, they have compression functions, so they are ensuring not only knee protection, but also support and compression just as knee sleeve. This product stands out with gel cushioning system which provides superior shock absorption, amortization and comfort. These pads have not only gel padding, but EVA padding as well, therefore, they are ensuring dual protection, but at the same time they look thin and sleek. 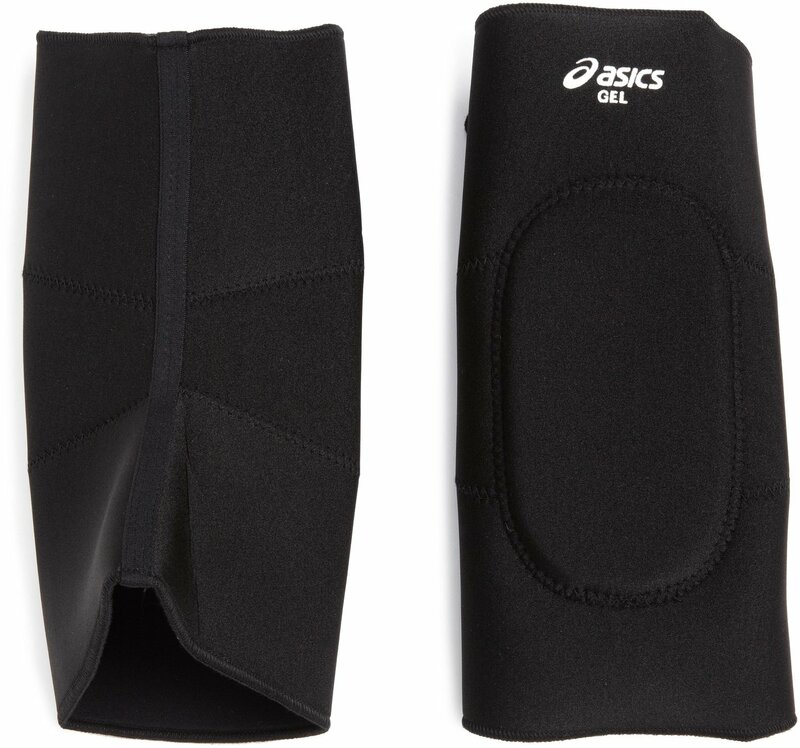 As mentioned before, these ASICS wrestling knee pads are reversible – they are available in black / white and red / royal colors, therefore, wrestler can change their color whenever he or she wants it. In addition, this is not only fashionable, but also practical feature, because you can change your knee pads color, depending on cleanliness and intensity of activities, for example, preferring black ones during dirtier activities. They have flocked ASICS logo on top. To find out, what is your knee pads size, you have to measure your knees circumference. When it is done, follow the table below. These ASICS Unisex Gel Wrestling Knee Pads are intended for knee protection during sports such as wrestling or other contact sports with purpose to prevent different knee injuries. This product is made of neoprene and gel, and it reversible – it can be changed from black to white color and from red to royal color, and vice versa. These knee pads are available in four different sizes – S, M, L, XL – and its weight depends on its size. As these ASICS pads have different sizes and are made of elastic neoprene material, they are suitable both for adults and youngsters. These wrestling pads have various features and one of them is color reversibility. They also have features such as compression, gel cushioning, EVA foam padding and flocked ASICS logo. This product can be washed in washing machine and usually it is sold as single, therefore, if you need protection for both knees, you have to buy two exemplars.